Hi Guys! Round 2 ended in episode 6 and we got new faces appearing that may be front runners in the competition. Round 2 had contestants choose which judge they wanted to receive mentoring from. After being evaluated by the judges JYP, Yoo Hee-Yeol and Yang Hyun-Suk, contestants were put into one of three groups: Sang (highest), Joong and Ha (lowest). There were some awesome surprises and some disappointing performances in Round 2. Her performance in the first round was extremely amateur and undesirable, but the judges put her through because she still had potential. That’s the great thing about being an amateur is that there is immense amount of space to grow into. That’s just what Brody did. She visited Yoo Hee-Yeol’s room, in which he was extremely surprised to find her there (I was too not going to lie) and placed her in the Ha group. She came for Round 2 and blew all the judges away with her power vocals in her rendition of David Guetta’s “Titanium”. Granted it wasn’t the best performance ever, but her growth was amazing, especially for a girl her age. This baby was great. His vocals were great. He’s got that cute look to him. His voice is to die for. 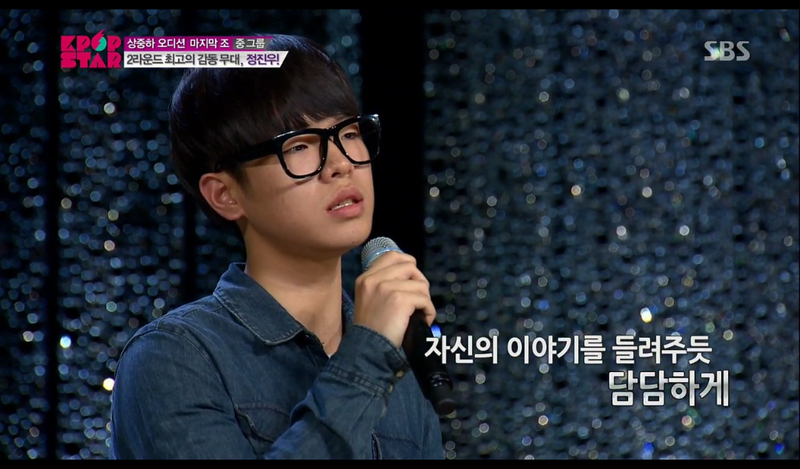 He moved the judges, especially JYP, with his version of Lee Jae Ha’s “Because I Loved (사랑하기 때문에)”. His voice was so sweet and sad. It just sounded really good. He reminds me of a younger version of Sung Si-Kyung, but with a more R&B tone to his voice. In the interview he said that he wasn’t sure if this song was right for him and he worried about it for a while. Honey, obviously it worked just fine. Right now, he’s one of the top contenders on my list to make it to the top 10. During the first round, the judges told her to come back with more of feminine look to match her voice. Not much of a change, but she tried with her cute pink sweater and no glasses. Aside from her looks, she does have a very feminine voice. Her voice sounds so sweet in my ears. I just wished she would embrace that feminine side of her. She’s a very pretty girl. Doesn’t she look a little like Super Junior’s Eun-Hyul? Lol. She made it to the next round with Lim Jang-Hee’s “Tears Won’t Come Out”. Man, this guy is good looking. And he has a great voice. I love him~. Why can’t I meet a man like him? He went to go see JYP for help, and JYP spent a very long time with him. Yao sang David Tao’s “Baby Baby”. 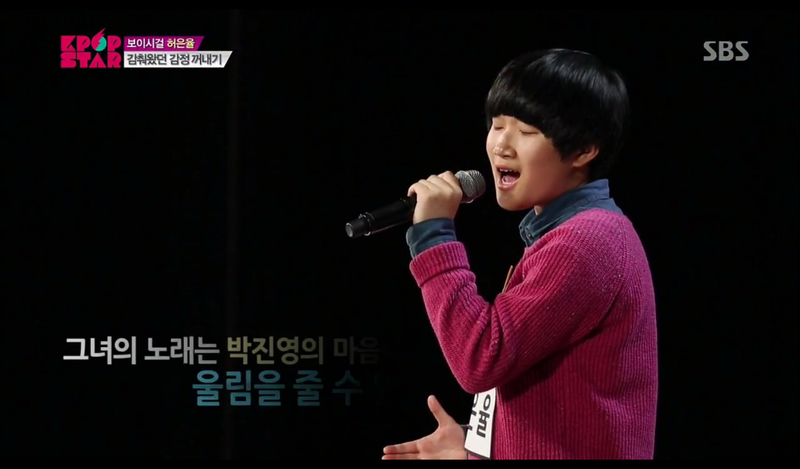 What surprised the judges is that he sang the first half of the song in Korean and finished the rest of it in Chinese. He did that to thank the judges for helping him out. Aww, what a sweetie! Just marry me already. Below is a video of his audition and not of that performance. I love this kid already. 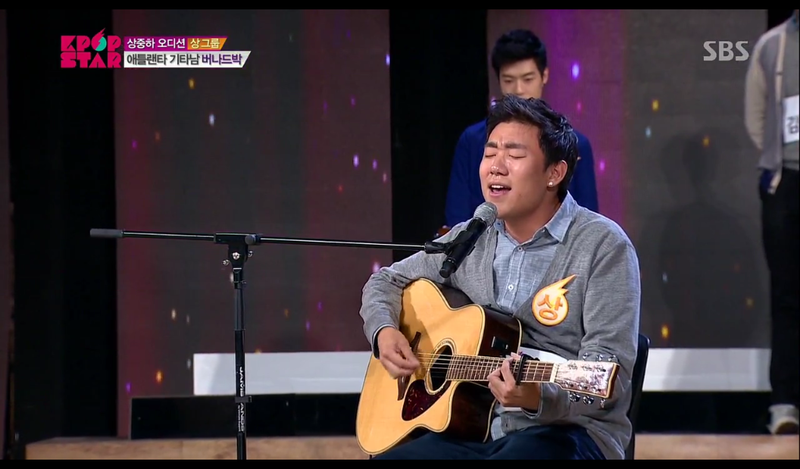 Bernard sang Boys II Men’s “End of the Road” after listening to JYP’s suggestion. And boy did he sing it. Just like what JYP wanted, Bernard exploded on those high notes making girls like me kneel at his feet while begging that it’s not at the end of the road. Ehem, I would never do that though *side-eye*. Round 3 started in Episode 6, but I’ll save those for the next post. Let me know who are your front contenders in the comments below!